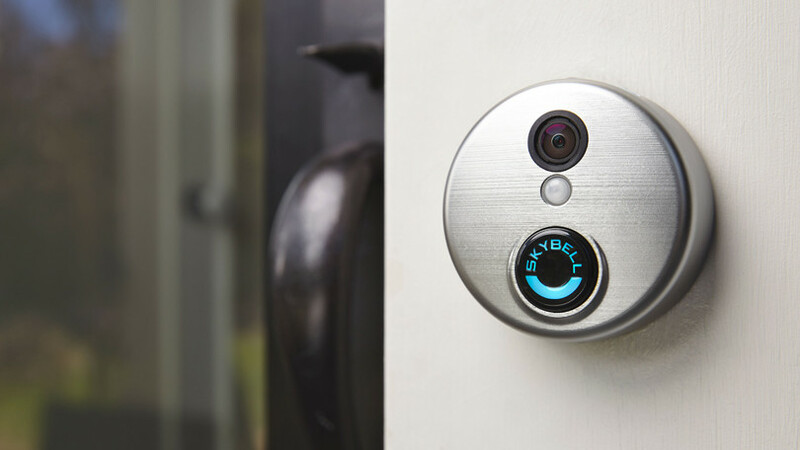 The SkyBell is a stylish high definition video doorbell that works alongside your alarm system providing an additional layer of security for your home. HD Video– See your visitor up to 1080p HD and 5x zoom. Motion Sensor – SkyBell alerts you even if visitor doesn’t press button – providing additional security. Live Monitoring – Monitor your front door at any time by starting the video from the same alarm.com app you use to control your alarm system. Video Recording– SkyBell can record each video so you download or watch them at any time. Hear & Speak – 2 way audio means you can enjoy a full conversation with your visitor. Activity History – Review the day’s events while you were away including missed visitors, answered video calls and motion alerts. Quiet Mode – Turn off your home’s doorbell chime from the app so it won’t wake up a baby! Snap Photos – Capture a photo of your visitor with the touch of a button.